The fully hackable studio lends itself easily to welcoming guests and to social events. Photography © Eric Laignel. Activating the reception area of IA’s new Manhattan office, on the 12th floor of a landmark 1890s skyscraper, is a wall-mounted LED screen displaying a mesmerizing simulation of real-time colorful fluids that respond to movement by swirling and morphing similar to a lava lamp. It’s a whimsical (and hypnotizing) counterpoint to the otherwise neutral, industrial-inflected palette—and one of many design elements that invite staff and visitors to interact with their surroundings. Technology is, of course, ubiquitous in the contemporary workplace, from mobile devices and cloud-powered software platforms to occupancy sensors and thermal-control apps—tools that help us do our jobs more efficiently, effectively, and productively. But technology is also a medium capable of sparking joy and humanizing a space by connecting occupants with their environment in a visceral manner. “Incorporating elements of creative technology transforms a workspace from day one,” Ucer affirms. Those elements can take many forms, and each installation is sui generis. 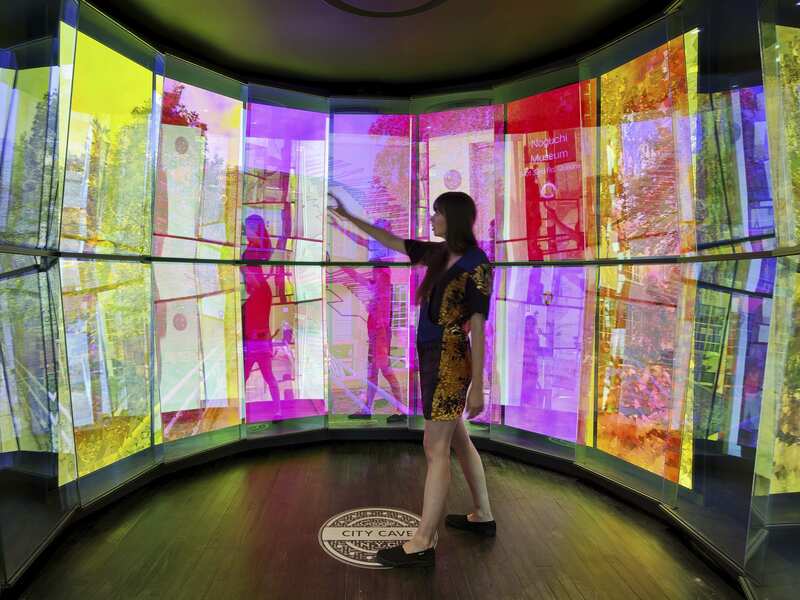 A centerpiece of Google’s New York office, for instance, is City Cave, an alcove surrounded by screens on which images of the Big Apple pop up in response to users choosing specific emotion-related search terms. Elsewhere, in a pre-function area, screens mounted overhead render inhabitants’ speech and movement as pulsing waves of light and color. City Cave in Google's New York office. Photography © Eric Laignel. 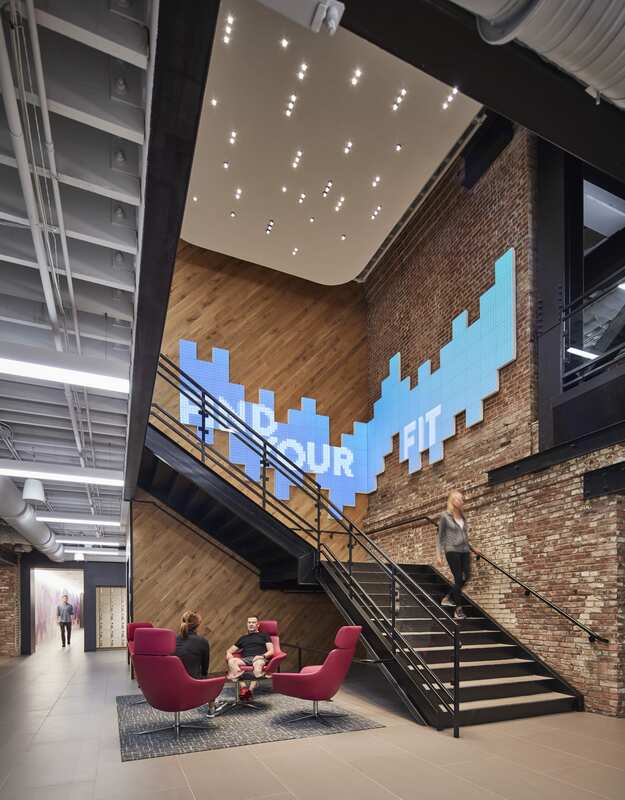 A custom LED interactive technology wall responds to the movement of members passing by. Photo © Tom Harris. The secret sauce for a successful project is an inspired collaboration. “The real innovation happens when all the partners—client, designer, vendors—are aligned and working together toward the solution,” Ucer says. A fully custom design, though typically requiring more upfront investment than does an installation that makes use of an existing product, will offer myriad advantages over time. “That’s where the magic happens,” Ucer notes.